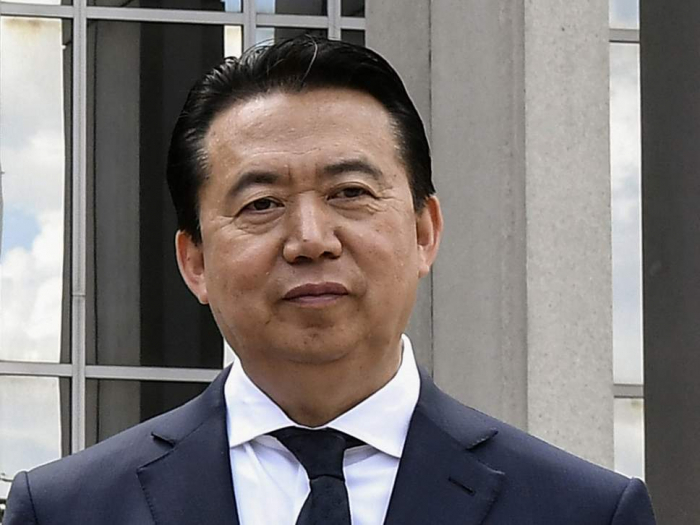 Grace Meng, the wife of missing former Interpol chief Meng Hongwei, says she has been left fearing for her life after Chinese ‘agents’ threatened to come for her in France. In her first interview since the high-profile politician disappeared on a trip to China last month, the mother-of-two criticised the bribery allegations levelled against her husband and told AP that she is fighting for information about his fate. “As his wife, I think he’s simply incapable of this,” she said, adding she would be willing to make their bank accounts public to prove his innocence. She claimed that disappearances like that of her spouse are "very common now in China" as the government seeks to persecute any allegedly corrupt or disloyal officials under President Xi Jinping’s authoritarian administration. Ms Meng went on to detail a menacing phone call she had received at their family home in Lyon, France from a man speaking Chinese, days after her 64-year-old husband went missing. Mrs Meng and her children are now under French police protection and a judicial official confirmed an investigation had been launched to determine whether there were indeed Chinese teams sent to Lyon. She had previously told reporters that the last time she communicated with her husband was on 25 September, when he sent a knife emoji. Chinese authorities said Mr Meng – a longstanding member of the Communist Party – was being detained after ‘bringing trouble upon himself’. “The investigation against Meng Hongwei’s taking bribes and suspected violations of law is very timely, absolutely correct and rather wise,” the Ministry of Public Security said in a statement following an internal meeting. Ms Meng refused to provide her real name to the AP, saying that speaking out put her and her relatives in China in in great danger”. It is not customary for Chinese wives to adopt their husbands' names. Ms Meng said she has done so now to show her solidarity with her husband. Her English name, Grace, is one she has long used, she said.